treating patients with various health problems. A news report published in Al Jazeera America said that researchers at the Australian government’s National Health and Medical Research Council (NHMRC) were tasked with looking at a total of 176 controlled studies into how effective homoeopathy was in treating patients with various complaints. The results, found “no reliable evidence in humans that homoeopathy was effective for treating the range of health conditions considered in the study,” it said. “People who choose homoeopathy may put their health at risk if they reject or delay treatments,” the authors of the report added. For some health conditions, a review of the studies showed that homoeopathy was no more effective than a placebo, the report said. Interestingly, contradictory to the research, there is a surge in the number of people switching over to alternative medicines, including homoeopathy, ayurveda, siddha and unani. “If it was about 7 per cent of people taking treatment under homoeopathy three years ago, the number has increased by 10 per cent now,” says Sunil Kumar, president, Institution of Homoeopaths, Kerala. Criticising the study, he said that their study is based on molecular theory, which is not an effective way to assess homoeopathy. Countries like Switzerland have conducted 21 clinical trials and have found that homoeopathy is effective and insurance is accepted for the treatment, he says. K.C.Prasob, member, Central Council for Homoeopathy, says that several patients have benefited from homoeopathy, where allopathy has failed. G.Sivaramkrishnan, superintendent, Government Homoeo Hospital, Porameri, says that his hospital is flooded with patients. “The homoeo doctors see an average of 60 to 70 patients every day at the hospital. It is proof for the effectiveness of the treatment,” he says. The reason is that homoeopathy is cheaper and the treatment is effective. The medicines in homoeopathy given to each patient depend on their physical conditions. Though the symptoms are the same, the medicines are prepared considering their health and other factors, said Safeekh Masani, former president of Institution of Homoeopaths, Kerala. Sivsankaran Nair, a resident of Kochi, says that he has directly benefited from homoeo medicines. S Rajesh, his son, says that his father had undergone two years of allopathy treatment and had been undergoing dialysis. Doctors had lose the hope of recovery. 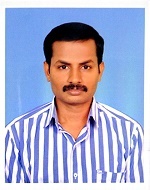 “It was then that I got to know about the homoeo treatment in Palakkad. It has been three years now and my father has been completely recovered.Eleven months ago, he stopped dialysis,” says a confident Rajesh.